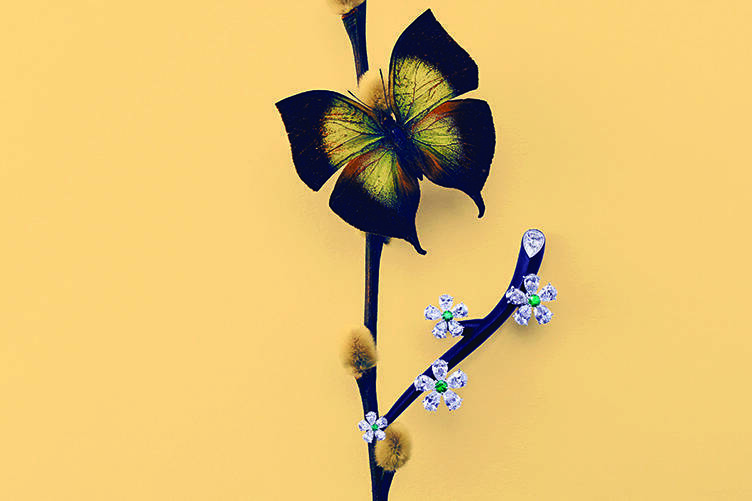 CHANEL FINE JEWELRY Plume de Chanel » brooch in white gold and diamonds. 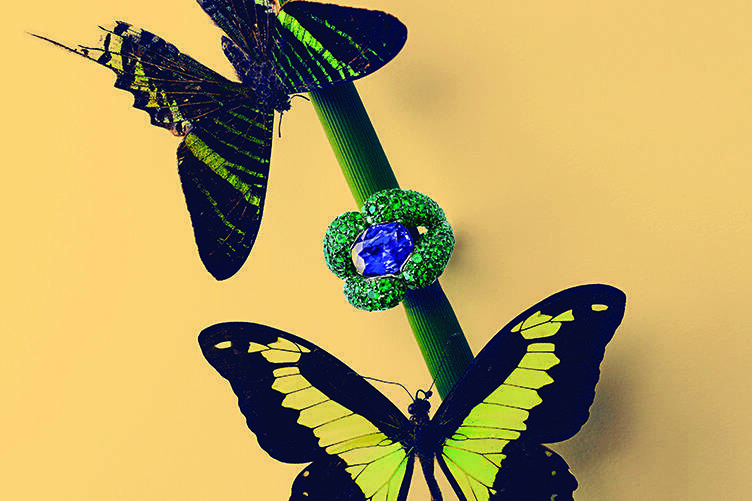 de GRISOGONO Ring in grey gold, blue sapphire and emeralds. 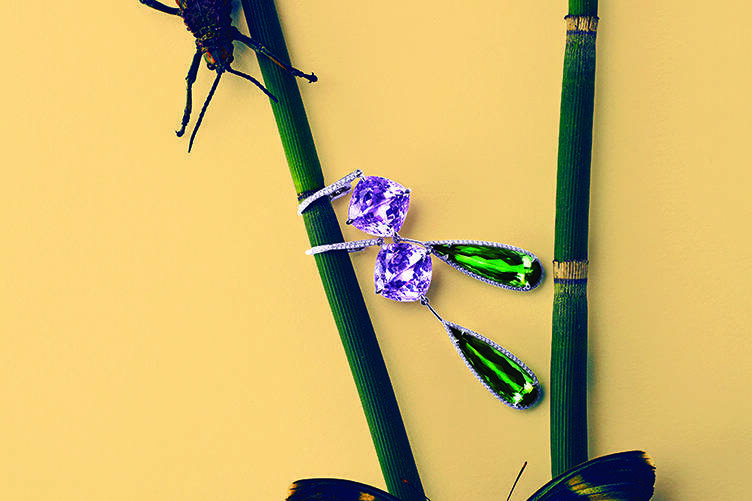 CHOPARD Temptations earrings in white gold, kunzites, tourmalines, diamonds. 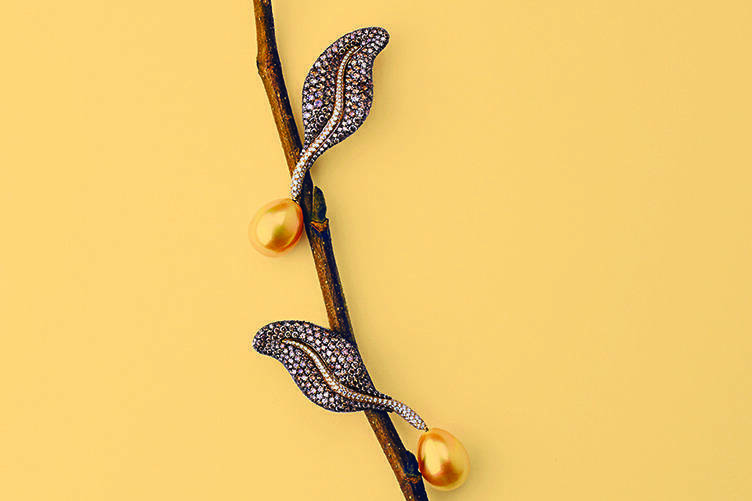 DE GRISOGONO Earrings in yellow gold, yellow pear pearls, brown and white diamonds. 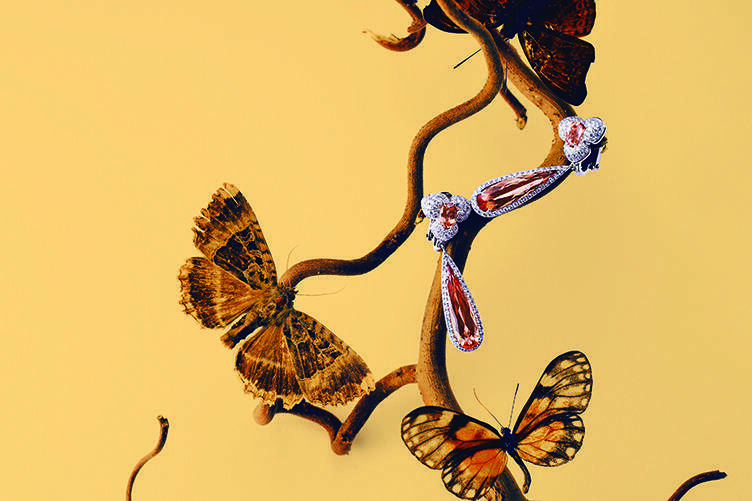 DE GRISOGONO Earrings in pink gold, rubies, orange, yellow and pink sapphires. 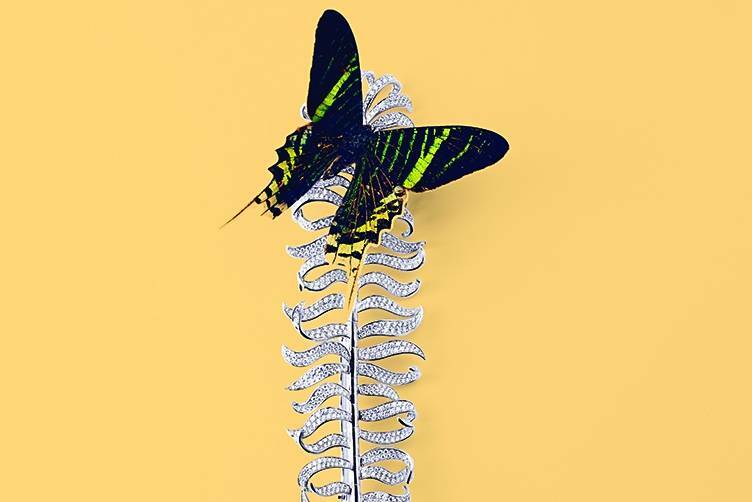 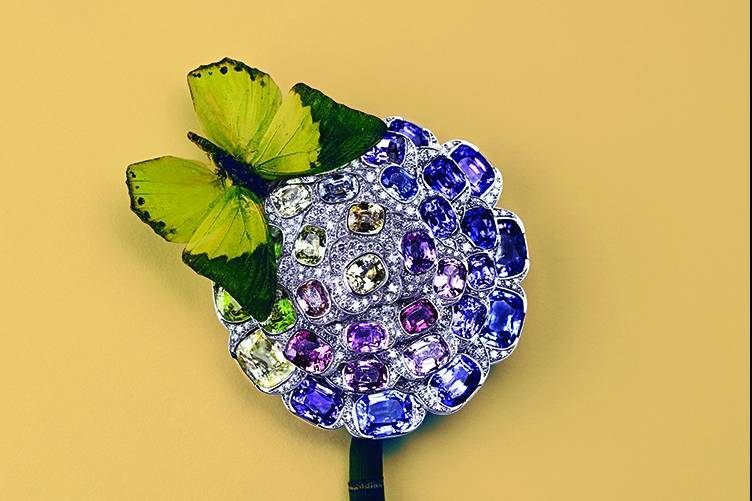 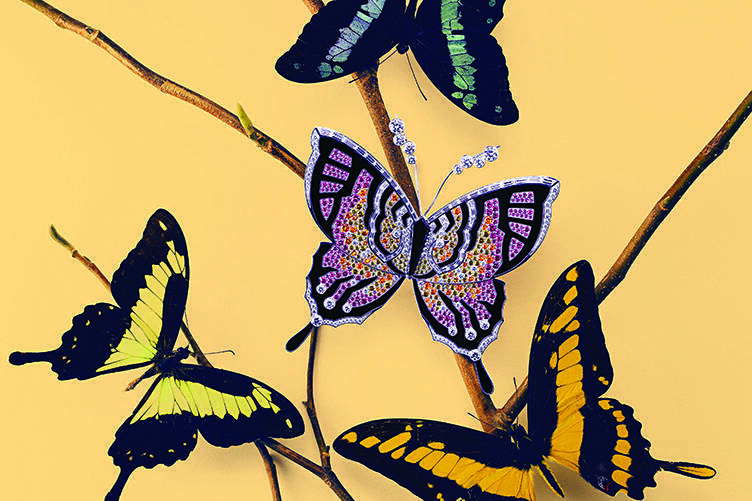 CHANEL FINE JEWELRY Camelia Exotique brooch in white gold, white diamonds, multicolored sapphires. 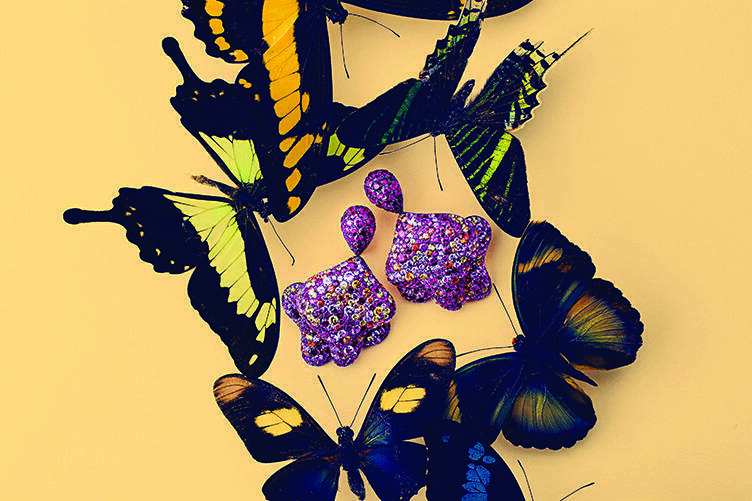 chopard Temptations earrings in white gold, diamonds, topazes. 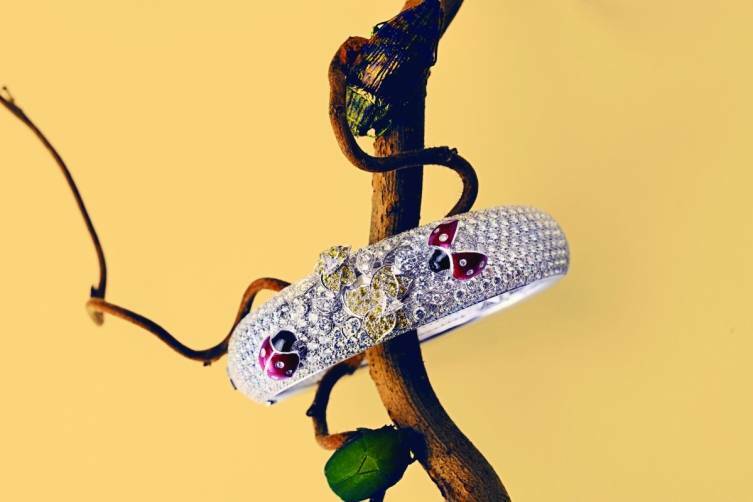 Cartier Secret Watch with ladybug design, in quartz, white gold, diamonds and sapphires.